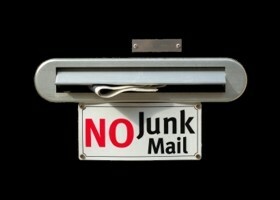 Choice Mail : Spam filter, Email Firewall, Anti-Spam filter, Block spam for good. It's a permission based spam blocker that customizes itself to you. Only approved email gets into your inbox! Permission-based means ChoiceMail assumes email is spam unless it knows otherwise. ChoiceMail automatically approves email from people you know and trust. It lets you create simple rules to approve email that is important to you. And it lets you automatically query unknown senders to find out who they are and what they want before their email gets into your inbox. Then you get to decide if this is someone you want to hear from. Legitimate senders respond to this query, but spammers never do. ChoiceMail Enterprise works with Microsoft Exchange Server, Lotus Domino, Novell GroupWise, IMail and all other enterprise email servers. ChoiceMail One, our single-user version, works with any standard POP3 email program.